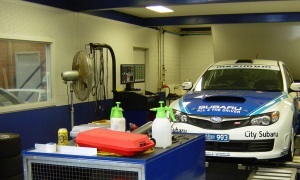 It’s been ‘all hands on desk’ over the last few weeks, but the Maximum Motorsport Subarus are on their way to Targa Tasmania. 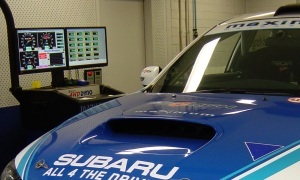 This year there will be two Maximum Motorsport WRX STIs competing at the 20th running of Targa Tasmania. The Maximum Subarus arrive in Tasmania on Saturday, ahead of the Georgetown Prologue on Tuesday and the first days competition on Wednesday. Have you entered our Subaru STI giveaway? Time is running out! Sign up to our newsletter before April 10, and you’ll go into the draw to win one of three great Maximum Motorsport prizes. Sign-up for the newsletter at www.maximummotorsport.com.au/newsletter. This entry was posted on Thursday, March 31st, 2011 at 11:05 am.